The Venice Area Chamber of Commerce called and, as a proud member, we responded. Our Venice Photo Booth was available during a pregame lunch at the Chamber’s annual “Golf Challenge” at the Plantation. Many players apparently had their heads already set on the game so they did not visit the Photo Booth. Maybe next year we will do it after the match. The ones that did join us had fun and a memory to take home. You can download your images for free if you click here. We will post some additional pictures on our Facebook page. 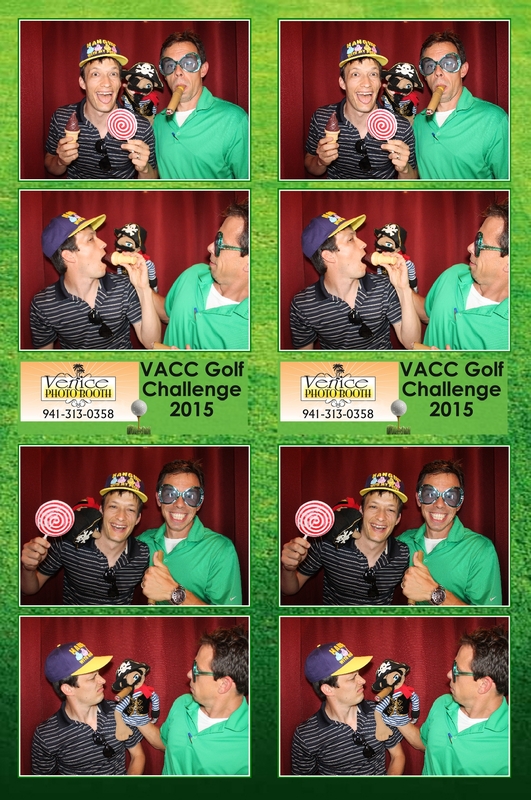 Venice Photo Booth is available for Golf tourneys, fundraisers and other events. Contact us to find out more..